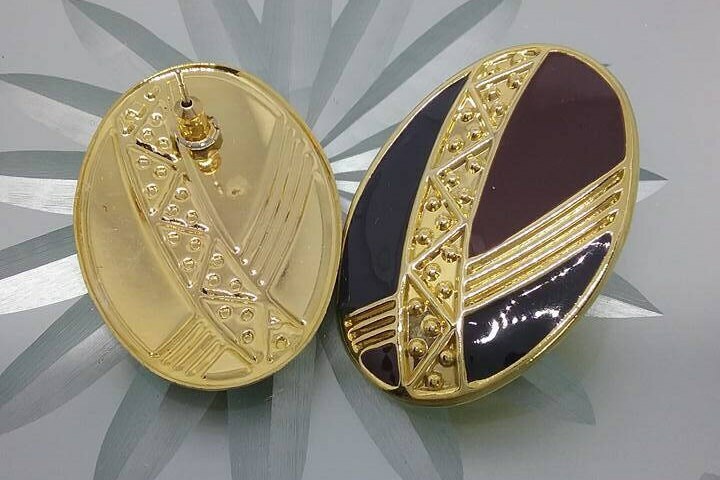 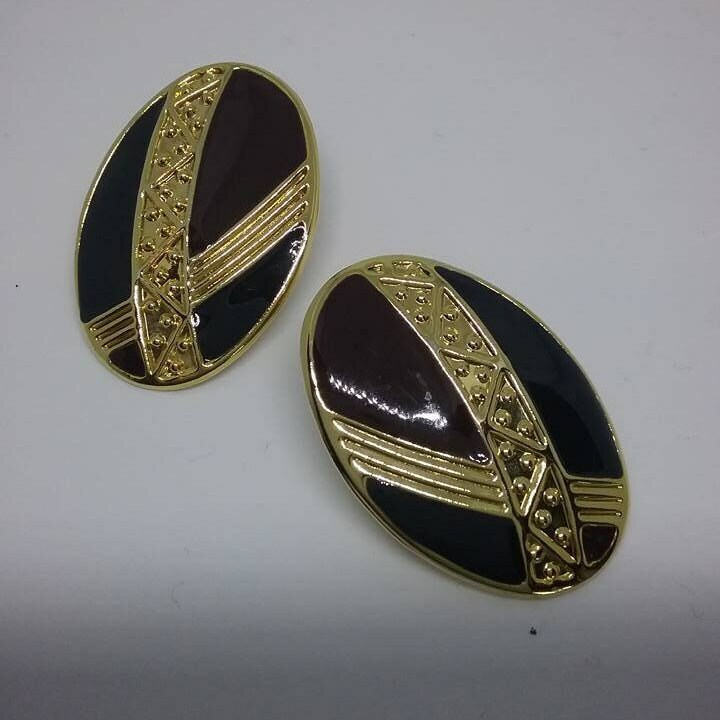 Gold tone and black/burgundy button earrings. 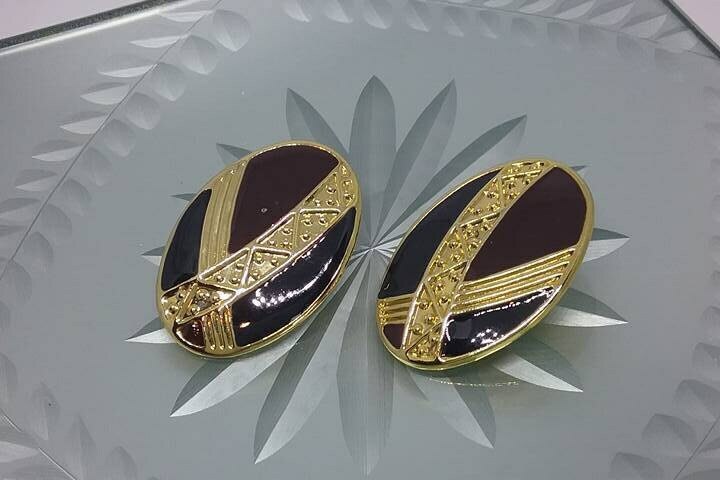 Retro pierced earrings are a knock-out....excellent vintage condition. 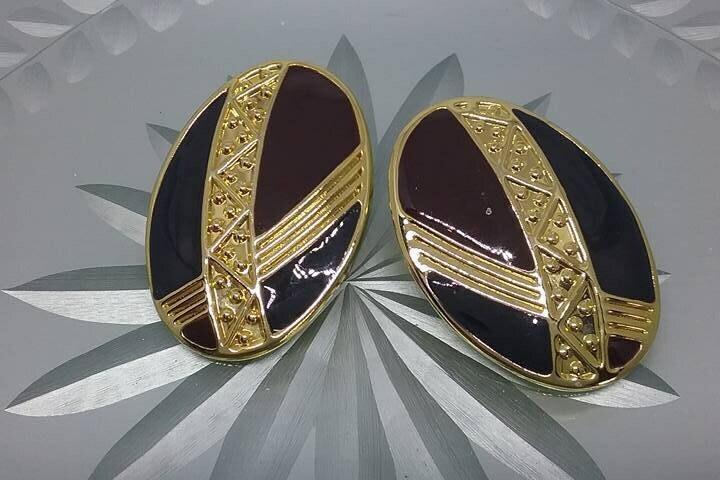 Geometric design pierced earrings will make a statement. 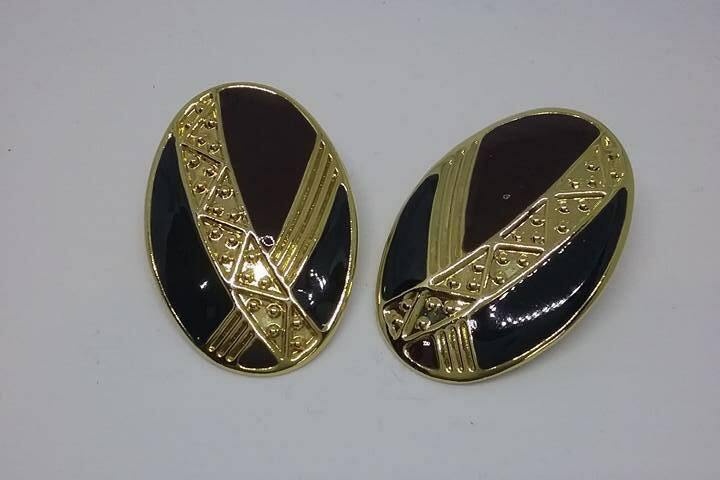 Buy vintage for Christmas...they will love it!